10 Old Soda Cans, Explored. | Dinosaur Dracula! 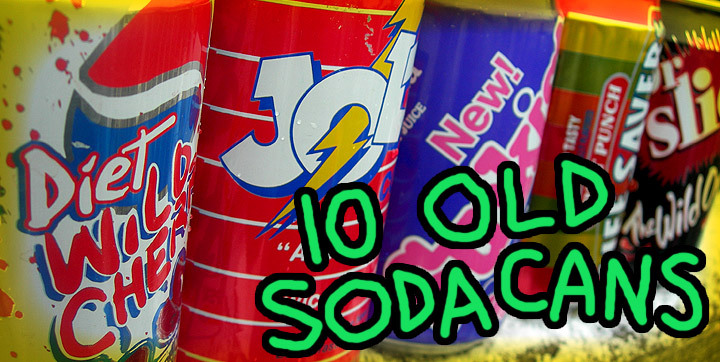 10 Old Soda Cans, Explored. Among my stranger quirks is an obsession with old soda cans. Too few of us view them as the works of art they truly are. I mean it!! My collection has grown embarrassing large, and this dumb article is my way to justify it. Below are ten random soda cans and the stories that go with them. Maybe you’ll learn something? I don’t know if Jolt Cola is still in production, but when I was a kid, this was *the* drink. 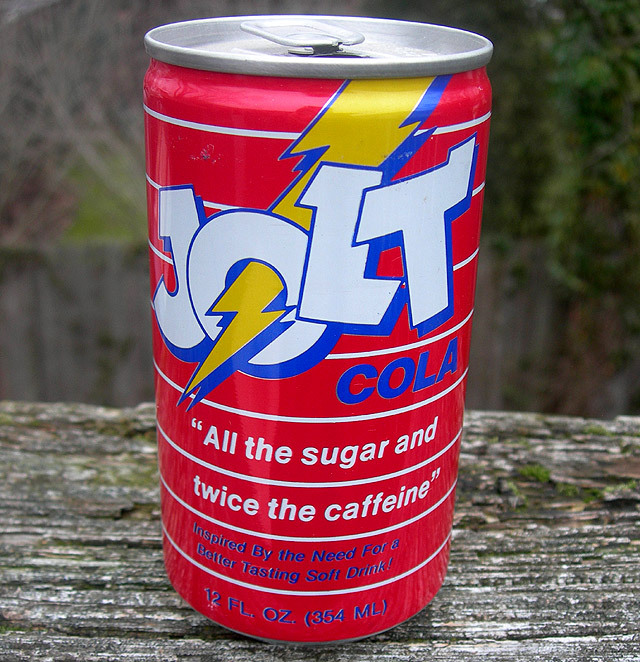 Debuting in the mid-‘80s, Jolt’s deal was that it had “twice the caffeine” of normal soda. Between that and its insanely great name, Jolt was our “special occasion” beverage. Like, if I was hosting a sleepover and everyone’s goal was to make it to sunrise, Jolt was the ultimate tool. Of course, being kids, we wildly exaggerated the drink’s effects. We’d take one swig and act like we’d just been injected with crazy alien steroids. That was part of the fun. To the best of my recollection, it tasted like a more flavorful Coke – though I’m not sure I mean that in a good way. 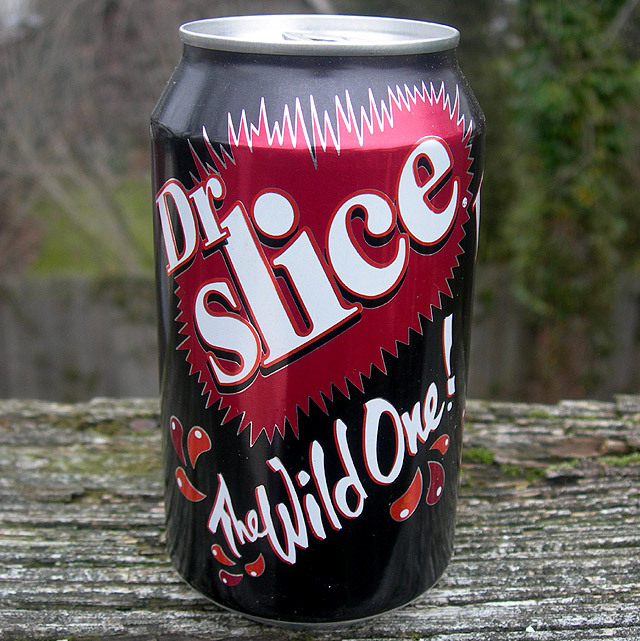 Slice still exists in some form today, but it used to be one of the true soda superpowers. Dr Slice was PepsiCo’s transparent attempt to make their own version of Dr Pepper, even if the two drinks really didn’t taste alike. Note the lack of a period in their “doctor” abbreviation. I didn’t like it when Dr Pepper did that, and I don’t like it here. It signals a crazy OCD thing that can never be satisfied. On the upside, those red soda droplets look like embryonic fish. I’ve covered Ecto-Cooler enough times to know that nothing more can be said, but I had to show this one off. 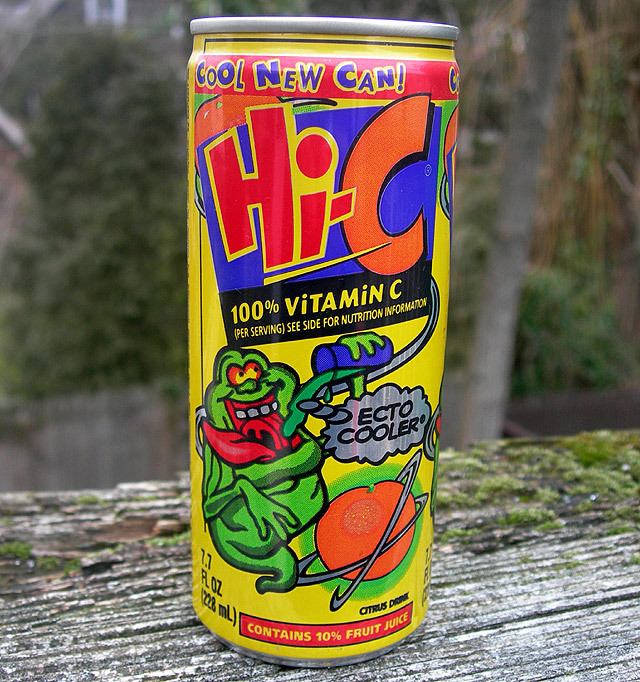 It’s the mega rare Ecto-Cooler can, with the one-two mascot punch of Slimer and the planet Orange! Pay close attention to what Slimer’s holding. If you’ve ever been confused about what makes a glass a glass and a tumbler a tumbler, that thing Slimer’s holding is definitely a tumbler. I’m not sure when this one came out – broad and safe guess is “the ‘90s” – but in any event, blech. Life Savers are a stone’s throw from cough drops, and as delicious as they are, I can’t imagine them translating well as soda. A small bit of Googling seems to confirm this, as those who do remember drinking it tend to describe their experiences with terrible words and lots of exclamation points. They were probably exaggerating. 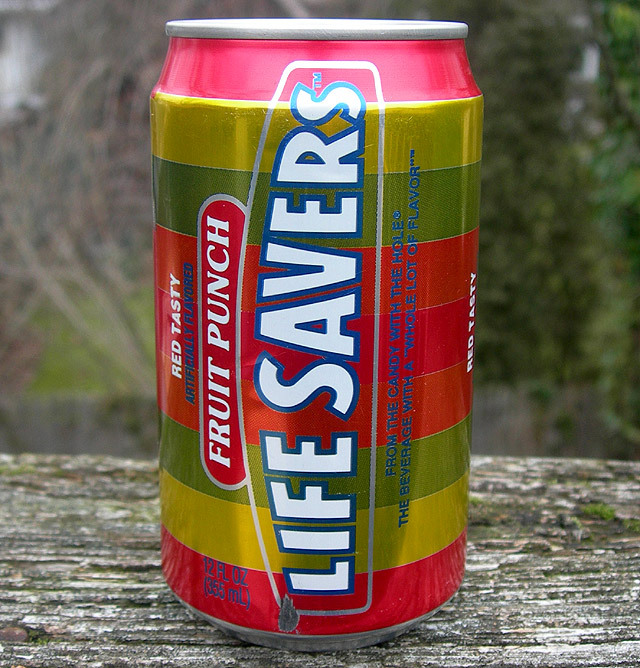 It’s more likely that this was just a “regular” fruit punch that wore the Life Savers logo despite not really tasting like them. The previous sentence could use a little work, but who cares? Man, that can design brings back a lot of memories. Indirect memories, but still. Memories of the summers of my youth, which I guess weren’t much different from the winters of my youth. Someone who writes articles about old soda cans really isn’t the type to make the most of good weather. For a while there, it seemed like every product got this same logo style. Wacky fonts, and a color splatter that took the form of either an animal print, or, as in this case, blood spilt from an axe murder victim. If this decade’s logos will be remembered for an intentional lean on slick simplicity, the logos of the ‘90s must be remembered for looking like exploded birthday parties. 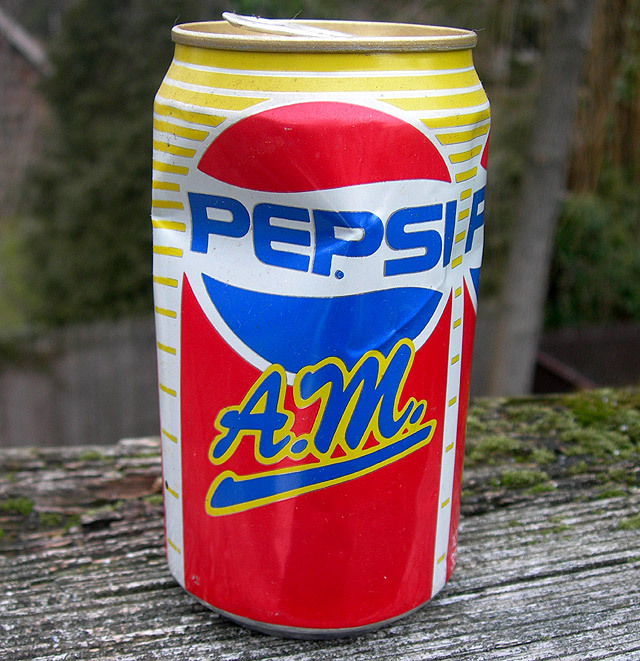 This was just regular Pepsi with more caffeine, and you were supposed to drink it in the morning. It was coffee for people who couldn’t stand coffee, but since people who can’t stand coffee likely aren’t too big on soda either, Pepsi A.M. ceased production after roughly ten hours. At least, that’s the best theory I can come up with while sitting here totally mesmerized by the can’s yellow stripes. There’s just something about them. 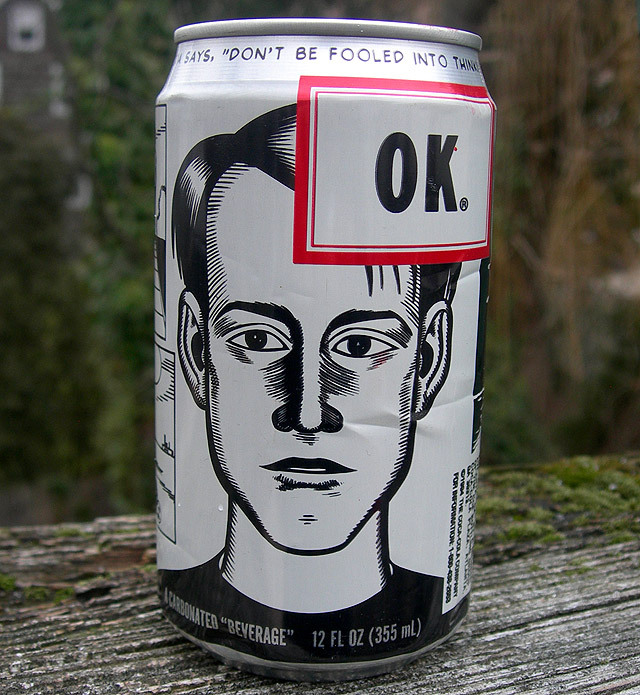 This article does a better job of explaining OK Soda than I ever could, but here’s the short version: OK Soda was aimed at the Gen X crowd, complete with odd cans and “negative” advertising campaigns. Made by Coca-Cola, the can’s simple color scheme might lead you to believe that it was just a slight variation on Coke. Actually, it was more like an odd fruit punch. Even if OK Soda’s fans are loyal enough to still talk about it today, the drink died before it could even go national. It’s like something out of an old sitcom, when a character had to drink soda but they couldn’t show a real brand. It’d either be something like this, or a can of Pepsi with strips of electrical tape blacking out the logo. I never understood that. Why not just turn the thing sideways? I reviewed this back in 2004, during its inaugural and only run. I kind of hated it, but I’d be lying if I said that I haven’t prayed for its resurgence every year since. I just love the idea of “Christmas soda,” even if, by all rights, such a thing really should belong to Coca-Cola. 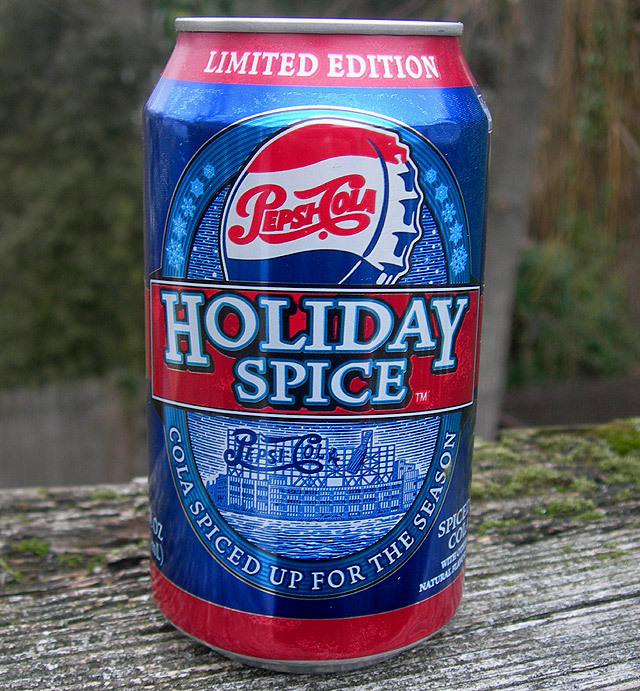 It was basically “spicy Pepsi,” and if you can’t imagine what spicy Pepsi would taste like, it wasn’t so hot. I’d liken it to flat Pepsi – but that special kind of flat Pepsi, which in fact grew so flat that it stopped being merely unpleasant and tasted somehow poisonous. There’s no remarkable story to this. 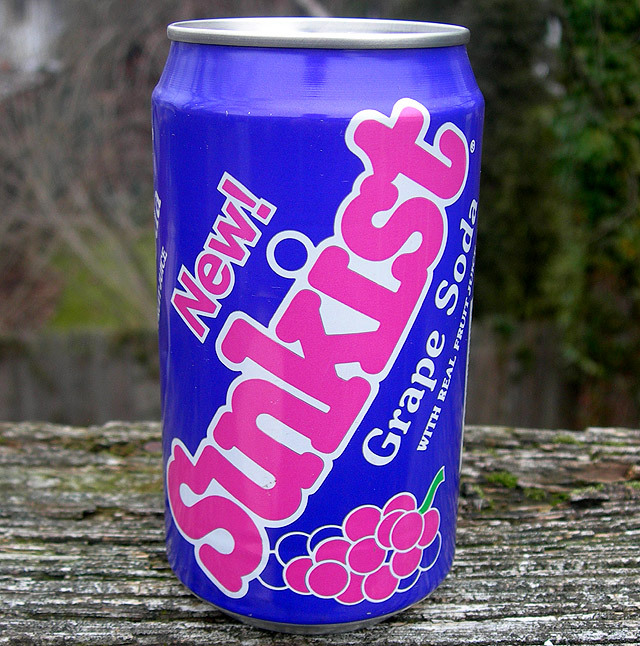 Sunkist is still around, and Sunkist still makes grape soda. 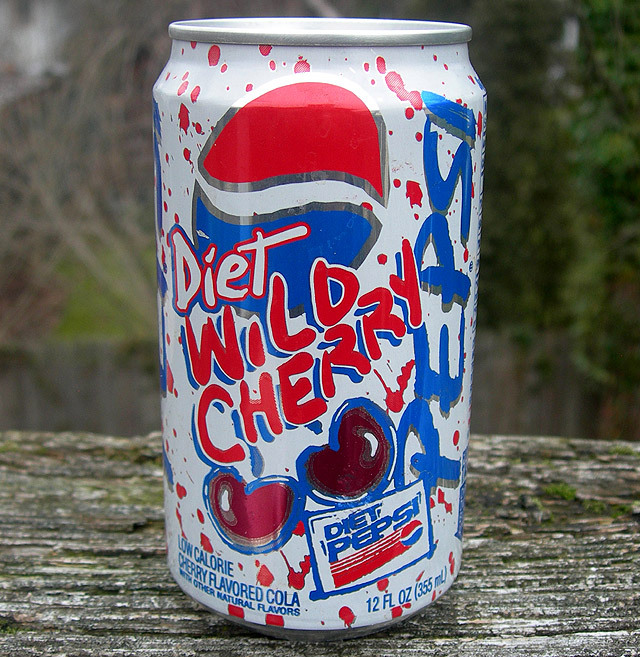 I just love the can design, here. It somehow reminds me of a 1987 Spencer Gifts. I also dig how some of the grapes are pink-purple, while others are purple-purple. It gives the impression of a very multi-layered flavor. Were I to transform one can from this article into a coin bank, I think I’d choose this one. Make no mistake, that is a bold compliment. 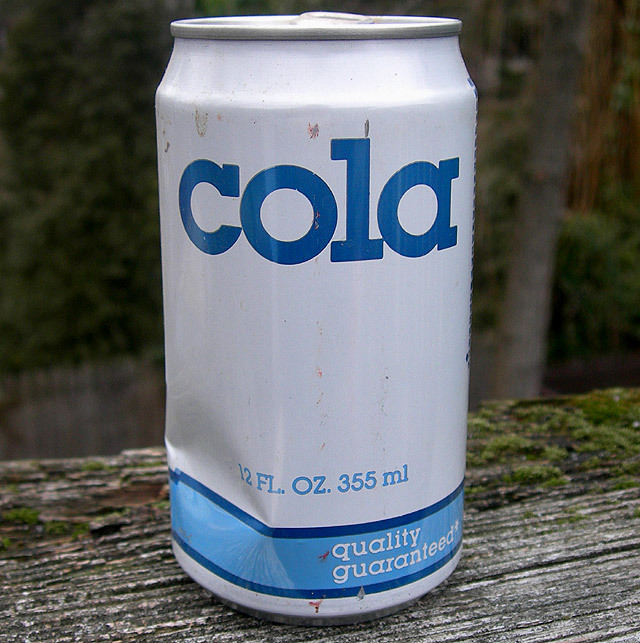 Also, hey: If you want to read about more old sodas, I dug up this old X-E article.